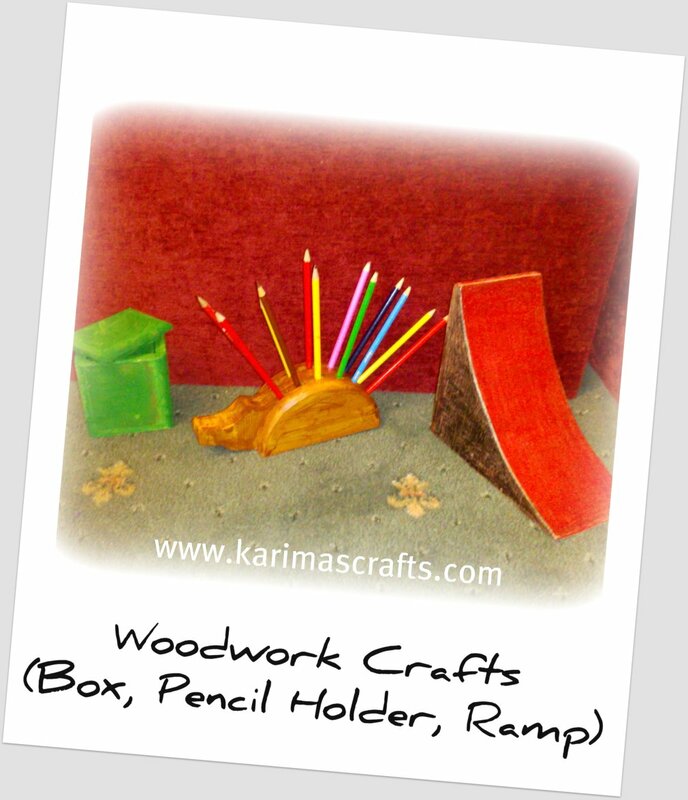 Above is a photograph of the woodwork projects that my son designed. 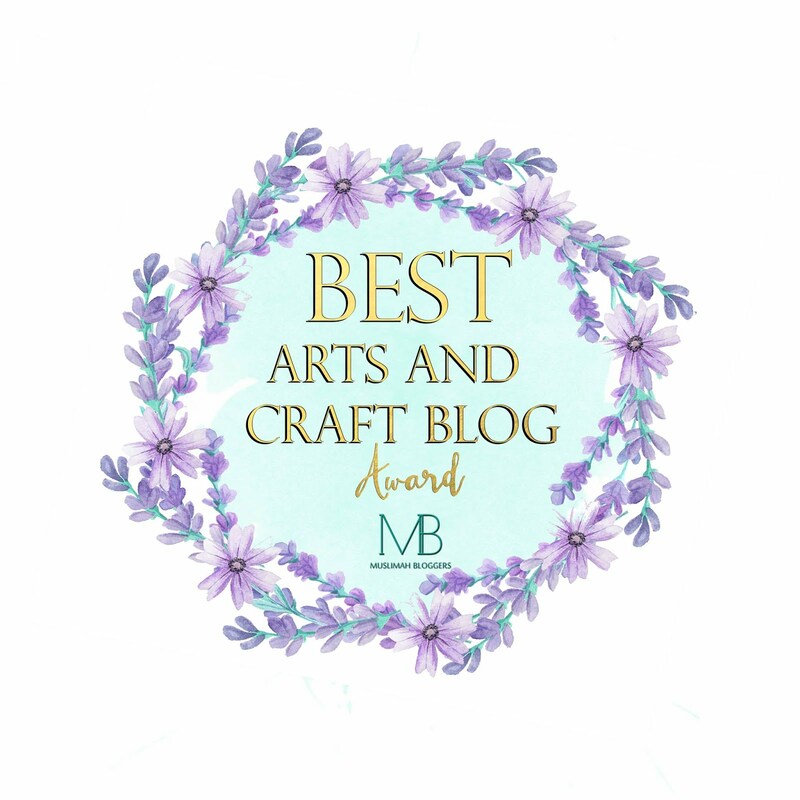 It makes a change to have a craft blog which involves my son. He rarely dabbles in crafts, so it is nice to write up an article about his work. Last week my son attended a school woodwork class. This was a free class, which was put on during the school holidays for any of the school pupils to attend. These classes are great for both the parents and the pupils. I had a little more quiet time and he got to enjoy himself for a couple of hours! I say quiet, mind with my other two girls also at home, that was a bit of a wish, rather than a true statement. Opposite is a closer photograph of his ramp. He also made a small wooden bench at home, to go with the theme for his ramp. 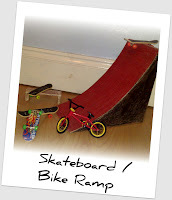 He placed his skateboards and bike alongside his ramp to give a good photograph. There maybe an artist inside him yet, he just hasn't realised! He made 3 items at school in total. 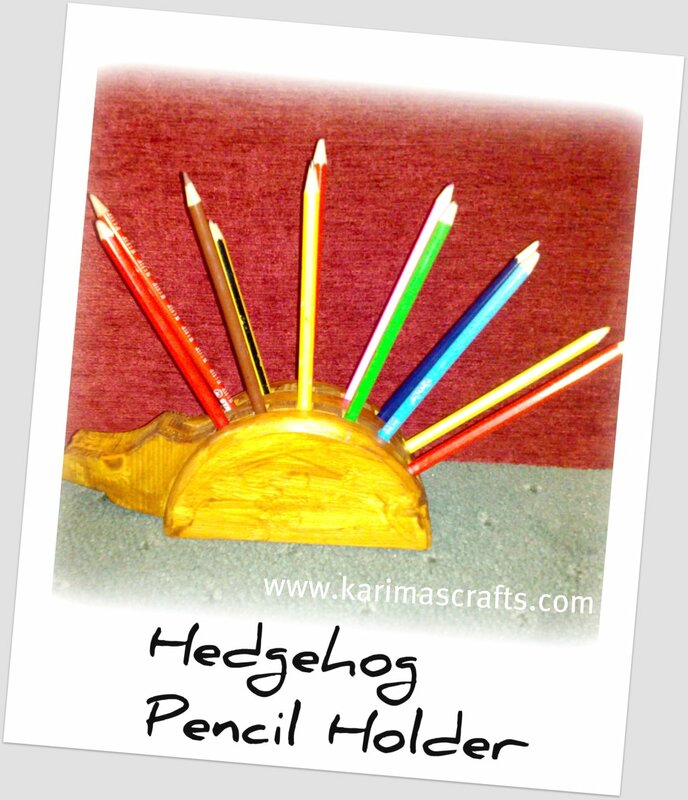 Opposite is a close up of his hedgehog pencil holder. 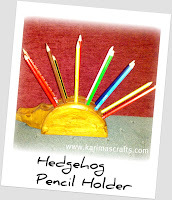 It was actually his idea to take a photograph with the pencils inside for better effect. Now, he is impressing me with some artistic behaviour! Because he is only 12, it was the teacher who actually cut the wood. His role was glueing all the wood together, and then painting these with varnish or paint. He was allowed to leave his work overnight to dry, and collect them the next day. 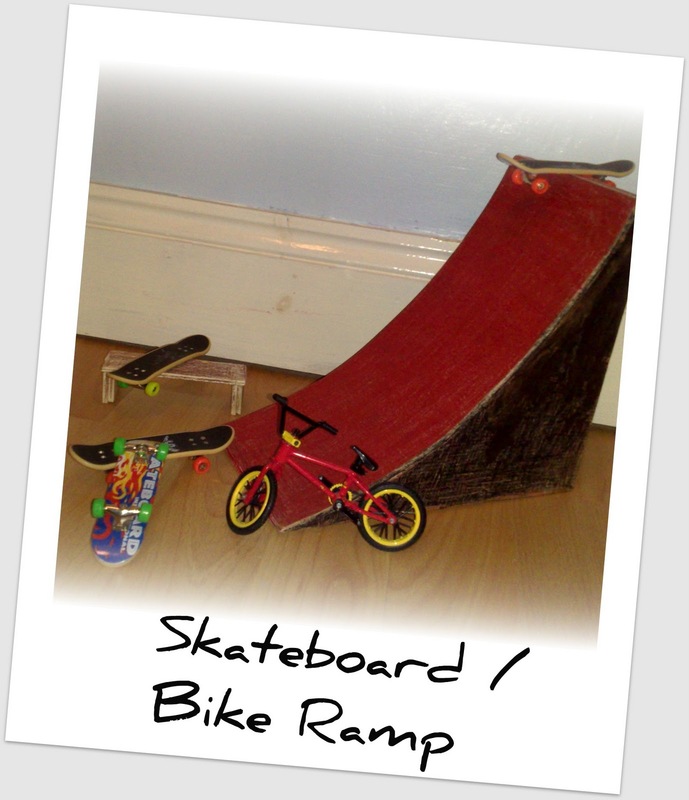 He was really pleased with his work and made instant use of his skateboard / bike ramp! Being his mum, I was also pleased with his work, well done!